While you have been navigating academia, building your skills, and creating your plan, you have been preparing simultaneously for your career. The Cornell Career Services (CCS) Career Development model has three stages—understand yourself, explore options, and take action—and the resources at the links below will provide guidance as you navigate all three stages. In addition to these resources, Cornell Career Services has a downloadable Career Guide (print copies also available at 103 Barnes Hall). Self-knowledge is the foundation of a career decision-making process because you need to reflect on what you are good at (abilities), what you care about (values), and what you like to do (interest) in order to recognize what career opportunities best fit you. Exploring career options involves gaining knowledge related to occupations/fields of interest, and an awareness of education and employment trends in these fields. 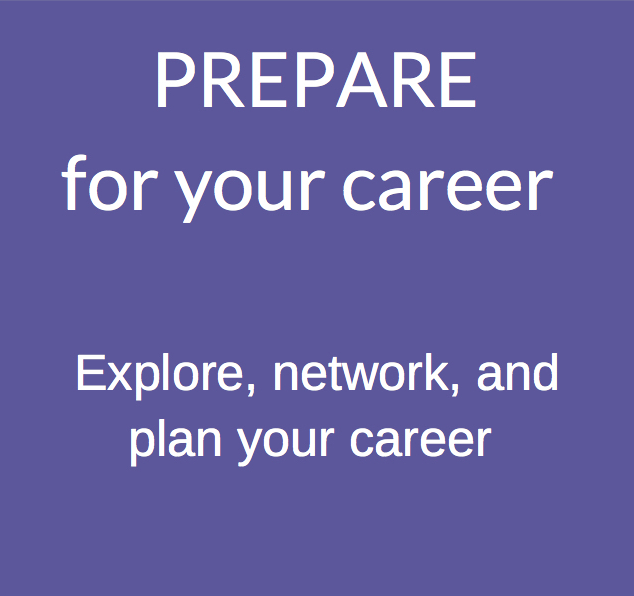 You will need to conduct research, develop a network, and engage in activities and internships to identify career options that match who you are. If you have already thought about your career interests and researched your options, it is time to apply to positions! Information collected from the previous two steps will help you to take action to get to your desired career. You will need to prepare resumes, letters, applications, and practice your interviewing skills to help you achieve your career goals and land that job. Check in with your graduate field office to learn what services are offered. Further, career services for graduate and professional students and postdocs are provided by a network of offices and resources across campus and online.